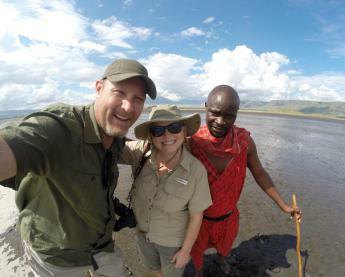 Take one of our Ethiopia tours to experience some of the tallest peaks in Africa, the Simien Mountains, or venture to the desert and the Danakil Depression, one of the lowest points of elevation on land in the world. 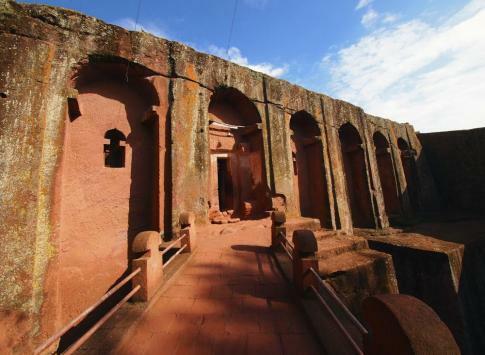 Take a tour of the Historic Route and tour medieval rock-hewn churches in Lalibela and learn about the impact of the crusades on this nation. Tour the ruins of Aksum, Fasilides castle in Gondar, or travel south to the Omo Valley region for a cultural encounter with the native tribes who inhabit the valley. The Bale Mountains also invite guests to explore majestic peaks. Ethiopia welcomes its visitors with open arms to come and explore this culturally rich nation and her historic treasures. Contact one of our Ethiopa travel specialists for help building your dream trip to Ethiopia. Explore the Omo Valley on this 10-day Ethiopia cultural tour. Encounter first-hand the isolated tribes that have been living in this isolated part of the world for centuries. Learn about the heritage of the Karo, Mursi, Konso, Banna, Ari, and Hamer people as you explore multiple unique tribes in a relatively tiny area of Ethiopia. Explore the best of the Historic Route on this 10-day Ethiopia tour, spending an extra day in Gondar to celebrate Timket Festival with the locals. Witness this joyous and colorful event in January while you also tour Gondar, Bahir Dar, the ruins of Axum, and rock-hewn churches in Lalibela. Get a great introduction to the culture of Ethiopia. Tour the popular Historic Route in Ethiopia in January and spend an extra day in Lalibela to take part in the Christmas Festival here. 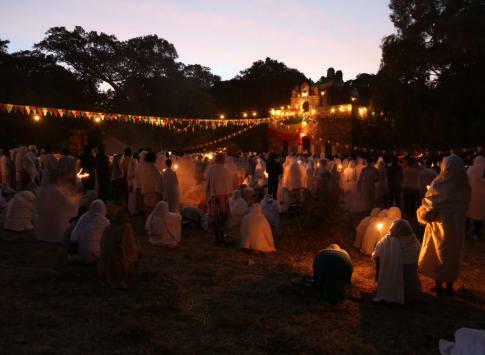 Visit Gondar, cruise Lake Tana, tour churches in Axum and Lalibela, and participate in a sacred annual festival in one of its prime locations in Ethiopia. This cultural tour in Ethiopia includes time in Addis Ababa. Explore the main highlights of Ethiopia on this short 6-day tour of Axum, Lalibela, and Addis Ababa. Visit the most popular sites on this cultural tour starting in Axum and Lalibela. See the rock-hewn churches and Genete Mariam. Explore Addis Ababa with museum visits displaying the famous hominid "Lucy" and telling the country's dark history. Explore some of the most isolated tribes on this 5-day Omo Valley tour in Ethiopia. Visit Konso, Tsemai, and Chencha villages. Observe the Ari and Benna people at the Key Afar market and visit the Mursi people renowned for their unique lip plates in Mago National Park. Get a snapshot of the Omo Valley cultures on this 5-day tour in Ethiopia. 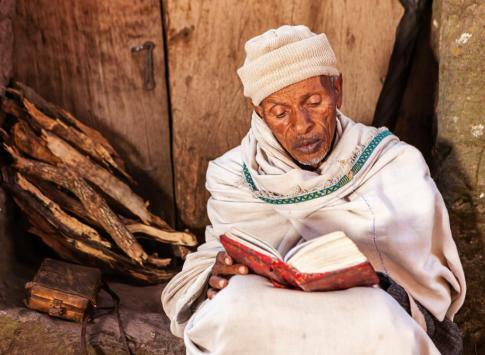 Take a look at these frequently asked questions before you set out on your trip to Ethiopia. Read answers to your practical questions, such as where can I withdraw money from an ATM and is it safe in Ethiopia? Find your quick answers here. Ethiopian culture is lively, musical and rich in religious faith and close family ties. This introduction to daily life helps you get a better picture of what you will encounter on your tour of Ethiopia. Read a brief description of each of the larger festivals in Ethiopia, including Timket and Meskel. Read the expected days for the festivals and best cities to observe the colorful processions during your own Ethiopia trip. Read a brief synopsis of some of the most popular locations to visit in Ethiopia before you choose your tour. 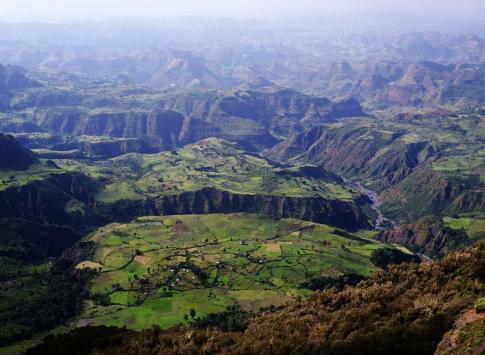 Differentiate between the Bale Mountains and Simien Mountains and learn about which areas comprise the Historic Route. Religion: Ethiopian Orthodox 43.5%, Muslim 33.9%, Protestant 18.5%, traditional 2.7%, Catholic 0.7%. 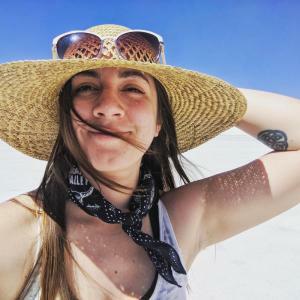 You will need a passport with 6 months of validity, a tourist visa (which you can purchase upon arrival in the airport for $50-$70) and a World Health Organization Card with a Yellow Fever Vaccination. Tips are definitely not an expectation in Ethiopia, but if you experience great service in a place, you can leave a few dollars or up to 10%. Otherwise it's not necessary. What is internet access like in Ethiopia? Don't count on accessing the internet while on your trip. You might find a hotel or café with internet access in the more developed areas, but it's not likely since our tours tend to stay in the more remote parts of Ethiopia. Can I use my cell phone while in Ethiopia? Realistically, you won't be within range of the towers to get a good signal on your phone. In the event of an emergency, there are ways to contact home or other areas. In Ethiopia, you will find types C, E, F, and L throughout the country, with 220-240v power, meaning you will definitely need plug adapters and for devices that can only support 110v, you will need a step down converter as well. While there are many places throughout Ethiopia that have squat toilets, all of our featured hotels have western style bowl toilets. Make sure to throw the used toilet paper in the waste basket next to the toilet rather than in the bowl. The tap water in Ethiopia is not safe to drink, so stick to the free bottled or filtered water provided by your tour operator. Are credit cards accepted in Ethiopia? Will I be able to find ATMs? Credit cards and ATMs aren't particularly accessible in Ethiopia, especially on our tours since we visit such isolated parts of the country, so we recommend withdrawing enough cash for souvenirs and tips when you get to the airport and enjoying the all-inclusive nature of your Adventure Life trip. You should always purchase insurance before going on vacation, just in case. 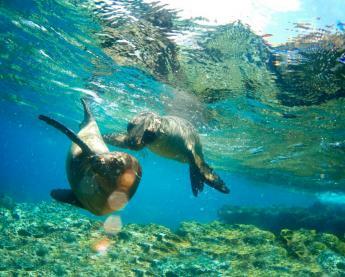 We offer some great promotions via TravelGuard on our Once You're Booked page. Axum - Ethiopia's most ancient city and once capital of the great Aksumite Empire. St. Mary's Church - Where the Ark of the Covenant is said to be housed. Lalibela - Magnificent rock-hewn churches which were built by hand between 800 and 1200 AD and are still active worship places. Addis Ababa - With a population well over 3 million people, Ethiopia's capital city is full of museums and top destinations for Africa explorers. 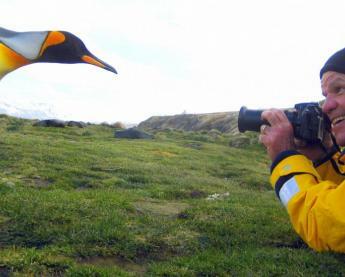 Bale Mountain National Park - An excellent destination for wildlife enthusiasts, this is home to the Ethiopian wolf, Bale monkey, and Harenna chameleon, and considered one of the top birding destinations in all of Africa. Learn about the best time to travel to the various regions within Ethiopia. Though temperatures stay fairly consistent due to its location near the equator, some rainy seasons should be avoided to ensure the roads remain passable.